MainAll NewsMiddle EastDid Mubarak Support Sisi for President? 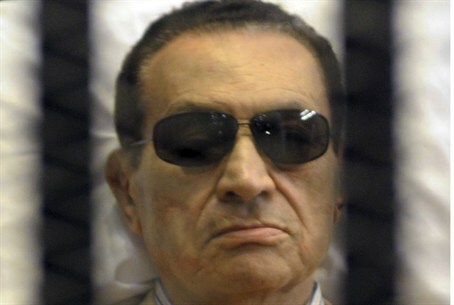 Did Mubarak Support Sisi for President? Egyptian website claims former president Mubarak supported Abdel Fattah al-Sisi for president. Mubarak's lawyer: Not true. Egypt’s former army chief and defense minister, Abdel Fattah al-Sisi, received backing for his presidential bid from former Egyptian President Hosni Mubarak, Al Jazeera reported on Thursday, citing an Egyptian news website. However, Mubarak’s lawyer later denied that his client had indeed backed Sisi. According to Al Jazeera, Mubarak told a reporter from the Al-Masry Al-Youm newspaper that Egyptians should "vote for Sisi" and that there was no option "other than him." Mubarak also reportedly criticized Sisi's main rival, Hamdeen Sabahi, describing him as "not capable of becoming Egypt's president". He also reportedly expressed caution about the Muslim Brotherhood's reaction to a Sisi presidency, warning that the country needed to maintain a "high degree of vigilance." Last week, after months of speculation, Sisi resigned as defense minster and announced his plan to run for president, saying it would be the last time he wears his military uniform. “I give up the uniform to defend the nation,” he declared. The Muslim Brotherhood, whose president Mohammed Morsi was ousted by Sisi and the Egyptian army in July, voiced its opposition to Sisi’s bid for the presidency, saying he was not a suitable candidate. The election team for Sabahi, according to Al Jazeera, called Mubarak’s reported comments a "badge of honor" and added that "corrupt Mubarak regime cronies" were behind a campaign against the presidential hopeful. Meanwhile, Mubarak’s lawyer Farid Deeb said that the recording in which his client is heard supporting Sisi was fabricated. Kol Yisrael radio quoted Deeb as having said that he spoke with Mubarak by phone and the former president denied he had made the remarks attributed to him.